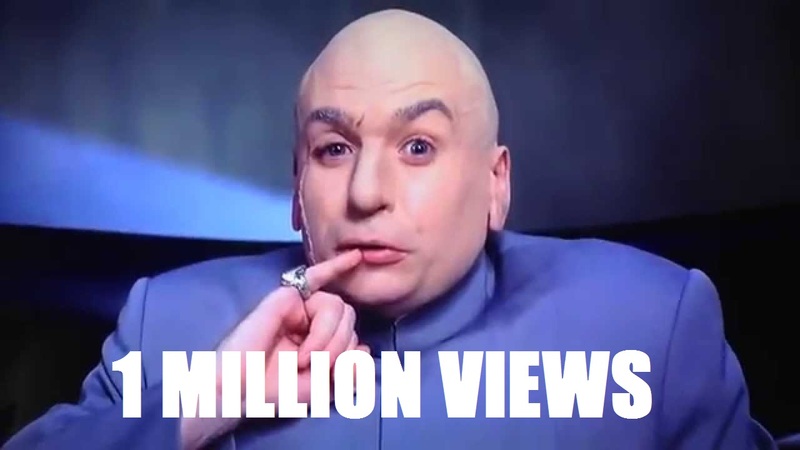 Alternate History Weekly Update: 1 MILLION VIEWS!!! Am I old for referencing Dr. Evil? 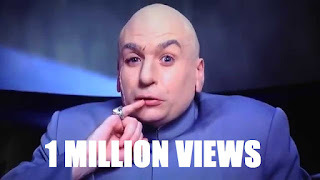 Who the Hell cares...1 MILLIONS VIEWS!!! You can't imagine how good it feels to write that. I feel the same way reaching 1 million views as I do when reaching my destination on a long hike. I'm happy I got there and I am amazed that I was able to do it, but I realize that I still have a long walk ahead of me before I can finally rest. Its moments like this that make me want to look back at where I came from and also speculate on what the future will bring. Now usually I like to do a "State of the Blog" post for accomplishments like this, where I go through our growth and such, but because 1 million views is such a big deal, I've decided to forego that (for now) and just be real for a second. First, I need to say thank you to everyone who made this possible. Thank you to my wife Alana for her endless patience with me shutting myself away in my office to write. Thank you to my family and friends for their help and encouragement for a hobby that has become almost a second job. Thank you to all of the alternate history creators out there for giving me something to talk about, because God knows I can't come up with anything original myself. Thanks also to all of the contributors who are way more talented than I am for submitting guest posts and such to this blog. Most importantly, thank you to all of my readers. You guys allow me to get through the day by giving me an outlet to be creative. Your comments, both the complimentary and the critical, keep me going, even when times get tough. I've shared some happy and dark times with you guys and no one could ask for a better group of people to do it with. So now that I am done looking backwards, its time to look ahead at the trek that awaits me. I like to say that I will always be here, bringing news and reviews on alternate history, but we all know nothing lasts forever. This year we saw two blogs that I loved, SF Signal and My Bookish Ways, close their doors for good. It came as a surprise to many, me included, but I sympathized with the people behind them. Its tough blogging full time, especially if you have family or have other projects you want to work on. Don't worry, this isn't a good bye post. To continue with my hiking metaphor, I may just find myself taking a trail I didn't originally plan to traverse. Blogging is fun, but it does mean I have less time for other things I may want to do. For example, I love making videos for YouTube. It gives me a feeling I haven't felt since I started blogging. I would love to learn how to use better editing software, try out new filming techniques or maybe even take a class on acting or public speaking...but that requires time I don't have. I also like the idea of being a professional book critic. Instead of pushing papers all day, I could be turning pages and analyzing literature. It sounds...nice. Like something I should have done a long time ago. Although I have a good job and I like the people I work with, there is nothing wrong with having a crazy dream...but to seriously pursue it, I need to find more time in the day. That said, I can't forget what brought me here. This blog and everyone who hangs out here has helped propel me to where I am now and will continue to push me farther toward the horizon. Leaving this place, if I were to truly do it, would be the hardest decision I've had to make in a long time. So you won't be seeing the end of Alternate History Weekly Update anytime soon. I'm Matt Mitrovich, your editor. For now, let the journey continue. Congrats & well said! I think many of us understand your feelings exactly. Part of a shared 'What If..." mentality? Great work, thanks, & all the best wherever the trail may lead from here!! !